Would anything be more fun than owning an NFL franchise? Think about it. The National Football League is one of the most exciting enterprises in all of sports. It’s popularity is out of control, its marketability is second to none, and it has a crazy reach with endless possibilities of growth potential. Considering the money the league generates on a regular basis, the financial rewards speaks for itself. Plus, it’d be pretty sweet to be able to lift the Lombardi Trophy at the end of the season. Obviously, not everyone has the means to own an organization in the National Football League. You have to be rolling in some serious loot to be able to purchase one these bad boys. And by all accounts, today’s NFL owners are swimming in cash. According to Forbes, the 10 richest owners in the National Football League have a combined net worth of $61 billion. That is a lot of green right there. Of course, as it is with most things, there will always be those individuals who are able to distinguish themselves from the rest of the pack. You’d be amazed at how much these special few are worth. With that in mind, here’s a look at the five richest owners in the National Football League: Try not to get too jealous. 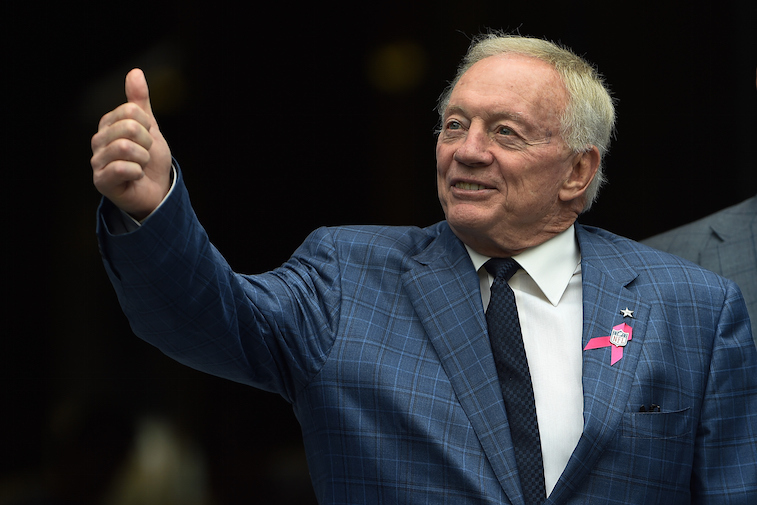 If you follow the NFL at all, then it’d be almost impossible not to know who Jerry Jones is. He’s practically as famous as the team team he owns. While it’s not wrong to say that Jones has oftentimes made questionable decisions as the Dallas Cowboys general manager, the fact is, Big D is now worth $4 billion, making it the most valuable team in the entire league. Clearly, this self-made billionaire has maximized the brand power of The Star. 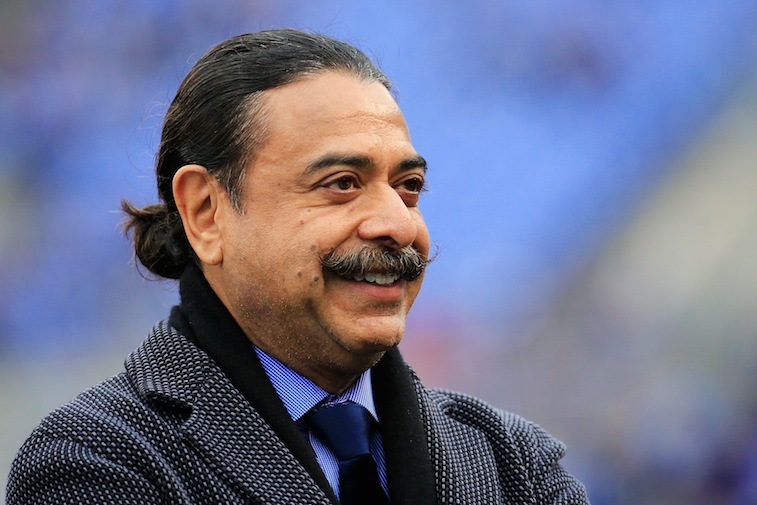 If you ask us, Jacksonville Jaguars owner Shahid Khan has far and away the best look out of anyone on this entire list. Seriously, how suave can a guy get? Of course, you can only make this list if you’re a wealthy owner. Considering he bought the Jags in 2012 for $770 million and now Forbes estimates the team to be worth $1.78 billion, and Khan’s “auto parts maker, Flex-N-Gate, grosses nearly $4.9 billion in sales,” we’d say he’s not just a business man, he’s a business, man! Yeah, that’s worth a Jay-Z lyric. Coming in at No. 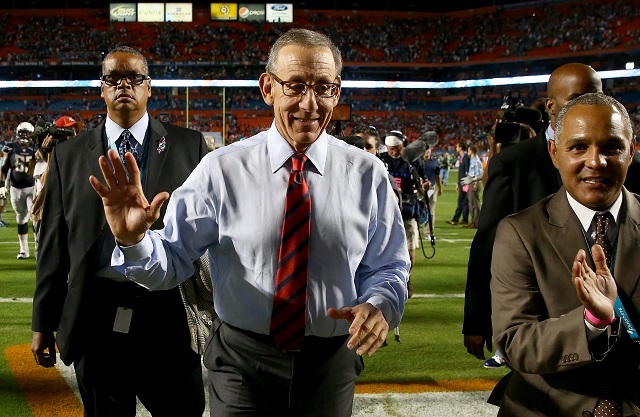 3 on the wealthiest owners list is Miami Dolphins head honcho Stephen Ross, who Forbes estimates is worth a cool $6.7 billion. If you want to know how Ross acquired his wealth, we have two words for you: Real estate. He is the chairman of Related Companies, one of the biggest real estate and property management firms in the country. For good measure, he is also the owner of Equinox Fitness. So if you’re one of those people who loves to get your sweat on in style, here’s the man you can thank for that. 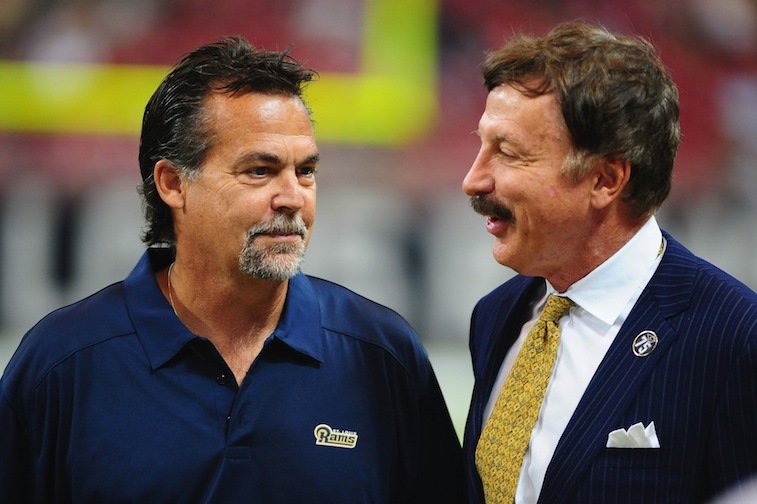 St. Louis Rams owner Stan Kroenke is worth $7.6 billion, however, he didn’t just get there by owning an NFL franchise, he’s all about building a sports empire. Kroenke owns the NBA’s Denver Nuggets, the NHL’s Colorado Avalanche, the MLS’ Colorado Rapids, and a majority of the English Premier League club, Arsenal. Per Forbes, the value of those five organizations combine to be worth $4.1 billion. Of course, if you’re really interested in learning what Kroenke is all about, check out his plan to bring the Rams back to Los Angeles. 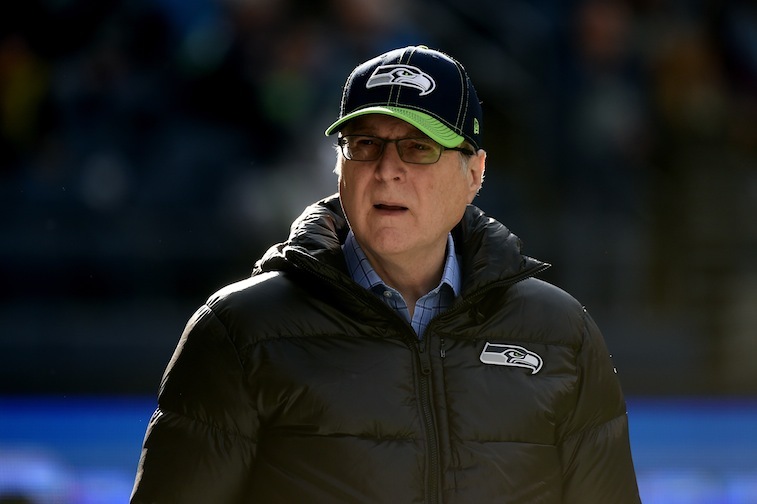 Seattle Seahawks owner Paul Allen isn’t just the richest owner in the NFL, he’s also one of the wealthiest individuals in the world. That’s what happens when you’re a cofounder of Microsoft. What’s more fun than being an owner of a professional sports franchise? Owning multiple franchises, obviously. Not only does Allen own the Portland Trail Blazers of the NBA, but he also has a piece of the Seattle Sounders of Major League Soccer. 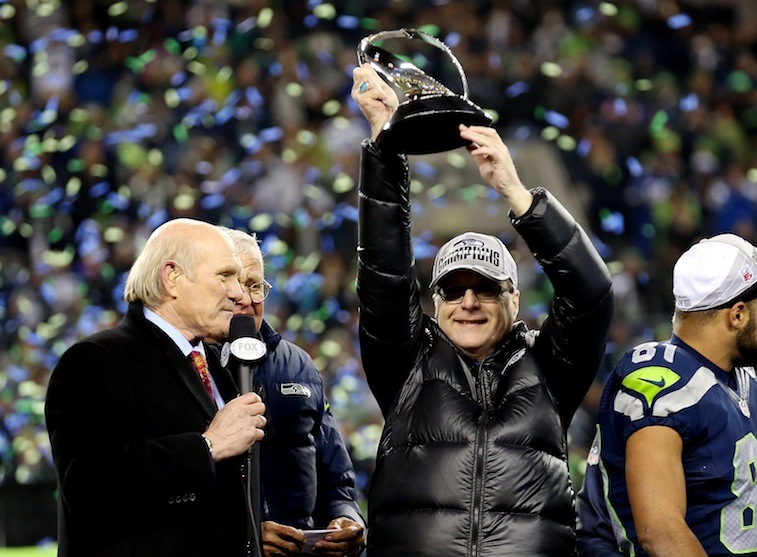 To see the complete list of “The NFL’s Richest Owners,” courtesy of Forbes, click here.